it will run off compressed air at less than 2psi. 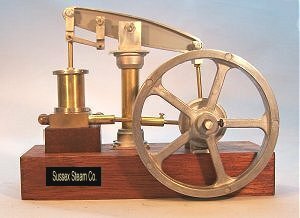 The Beam Type A in combination with our new Steam Plant is the replacement for our popular Beam Type S. Because of the new modular arrangement, you will not only have the advantage of an easy to build model but you will now have the option to purchase the Engine and Steam Plant separately. as such, no drilling, cutting, threading, shaping or soldering is required. You will need a screwdriver, a pair of pliers, a small hand drill (or pin vice) for drilling pilot holes in the wood plinth and some super glue to put the kit together. To set up the engine and make it run smoothly, you will probably need some fine emery cloth, maybe a small file to take off any rough edges and a couple of small drill bits (1mm,3mm and 3/16") for making pilot holes in the hardwood base and to clean up any holes that may need fettling. 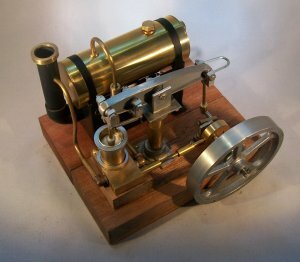 A single acting slide valve engine. Steam Regulator for Speed Control. 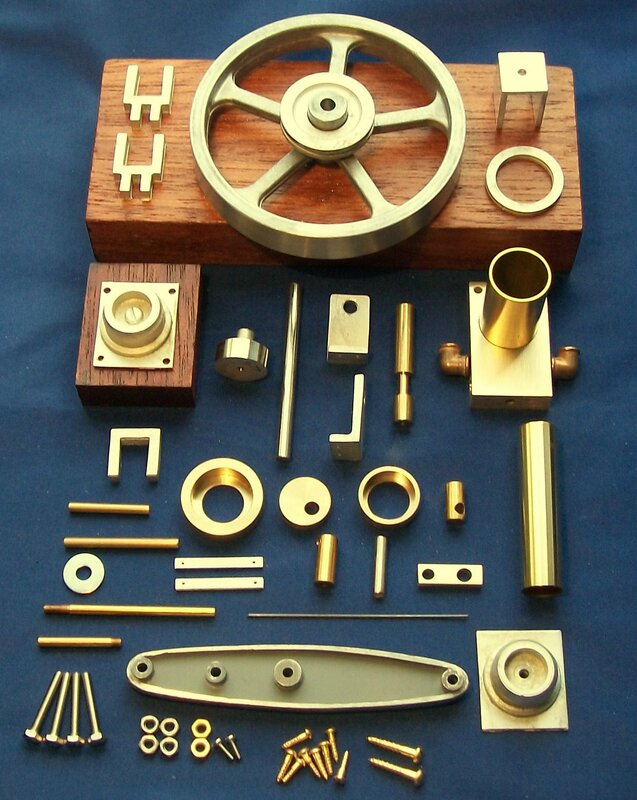 Flywheel diameter 3.5". Bore 0.75". Stroke 1.0". No machining required - can be built with a screw driver and a pair of pliers.